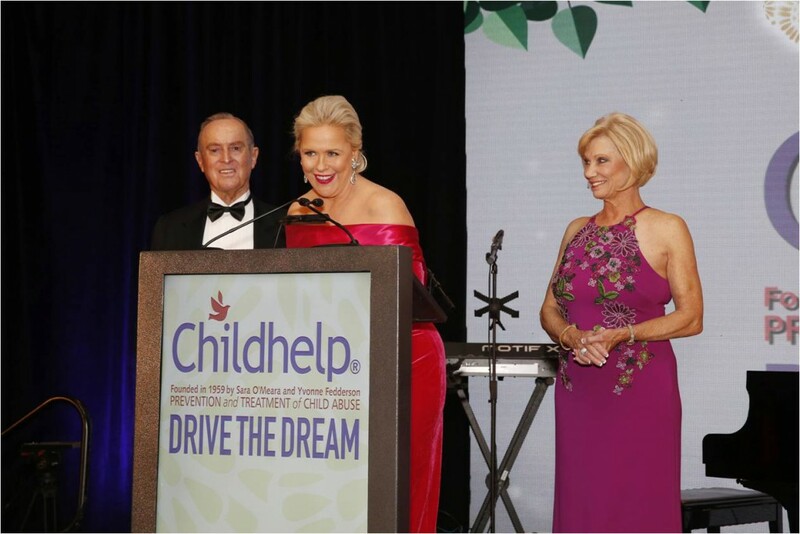 PHOENIX (2/2/16) – Childhelp®, the nation’s oldest and largest nonprofit dedicated to advocating for abused and neglected children celebrated its 12th Annual Childhelp Drive the Dream Gala on Saturday, Jan. 23. Presented by longtime supporters, Grimaldi’s Pizzeria and The Foundation for Global Sports Development, the sold out event is the organization’s largest signature fundraiser. For nearly six decades, Childhelp has been on the frontlines educating communities about child abuse, neglect, and bullying. Through lifesaving programs and services such as Childhelp Speak Up Be Safe and the Childhelp National Child Abuse Hotline, Childhelp provides solutions to help combat these serious issues. Proceeds from the Childhelp Drive the Dream Gala will directly support Childhelp Arizona’s programs and services including: the downtown Phoenix Childhelp Children’s Advocacy Center of Arizona Dedicated to Linda Pope, the Childhelp Mobile Advocacy Center of Northern Arizona, the Childhelp Community Center, Childhelp Speak Up Be Safe child abuse prevention education curriculum, and the Childhelp National Child Abuse Hotline (1.800.4.A.CHILD). Co-chaired by community advocates Char Davis Hubble, Deborah Pshebniski, and Erika Williams, the Childhelp Drive the Dream Gala took guests through “A Night of Wonderment Celebrating our Heroes.” National and local heroes who selflessly serve abused and neglected children were recognized, including: Pat and Bob Bondurant, Childhelp Spirit of the Children Award; SEMA, Childhelp Nellie Jackson Award, Bikers Against Child Abuse (BACA), Sheldon Kennedy, Phoenix Children’s Hospital, the Phoenix Police Department, and the Foundation for Global Sports Development. 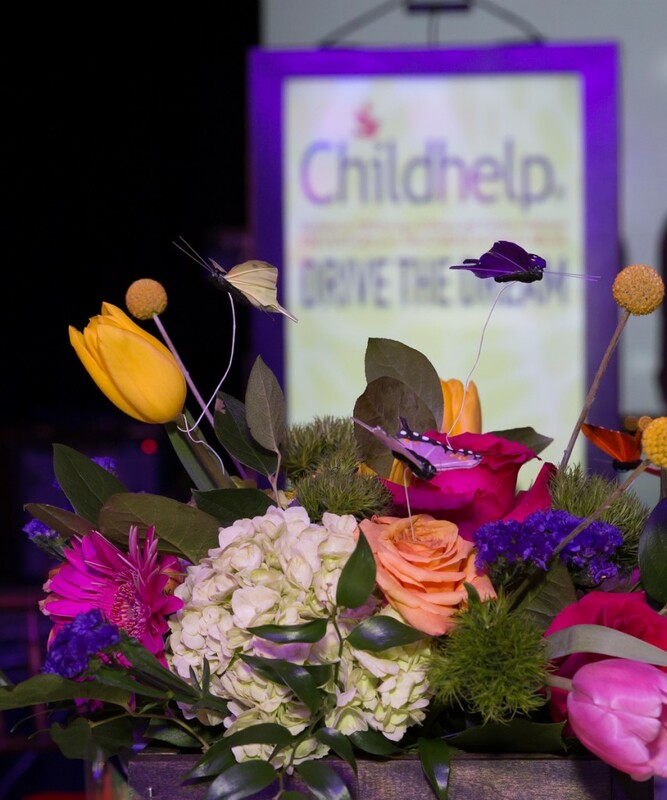 A surprise award was bestowed upon Childhelp’s founders, Sara O’Meara and Yvonne Fedderson, from The American Academy of Hospitality Sciences. Hand delivered from New York by the Academy’s President and CEO, Joseph Cinque, the Five Star Diamond Award was given in recognition of “A real-life hero whose work has dramatically improved the lives of millions of children for over 50 years.” This prestigious award signifies Childhelp as a world-class organization. Regarded as one of the premier fundraising events in the Valley, the co-chairs, along with an all-volunteer planning committee, worked hard to ensure that guests would have an uplifting experience through the eyes of a child. Conceptualized around a child-like whimsical theme, the décor consisted of vibrant flowers, jewel-toned hues, and butterflies symbolic of the healing journey a child embarks on when they walk through the doors of a Childhelp facility. Melissa Peterman, who is known for her role as Barbara Jean in the hit television comedy Reba, filled the room effortlessly with laughter as the gala’s emcee. The evening’s live auction included several one of a kind packages and experiences, raising a total of $411,000 for Childhelp Arizona. A Tuscan Culinary Adventure, featuring an exclusive week-long epicurean journey in one of the most beautiful regions of Italy through the eyes of internationally-known Tuscan Chef Gabriele Bertaccini, was the auction’s highest bid selling twice for a total of $120,000. 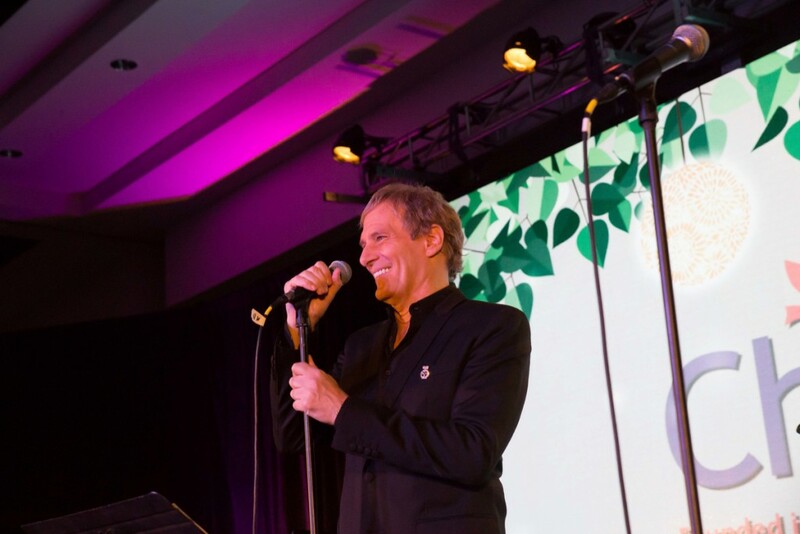 The auction closed out strong with a surprise package featuring a touching serenade from Michael Bolton to “When a Man Loves a Woman.” Selling for $50,000, the lucky bidder also received a 1.95 carat diamond pendent in the shape of a dove donated by Dru Hammer. 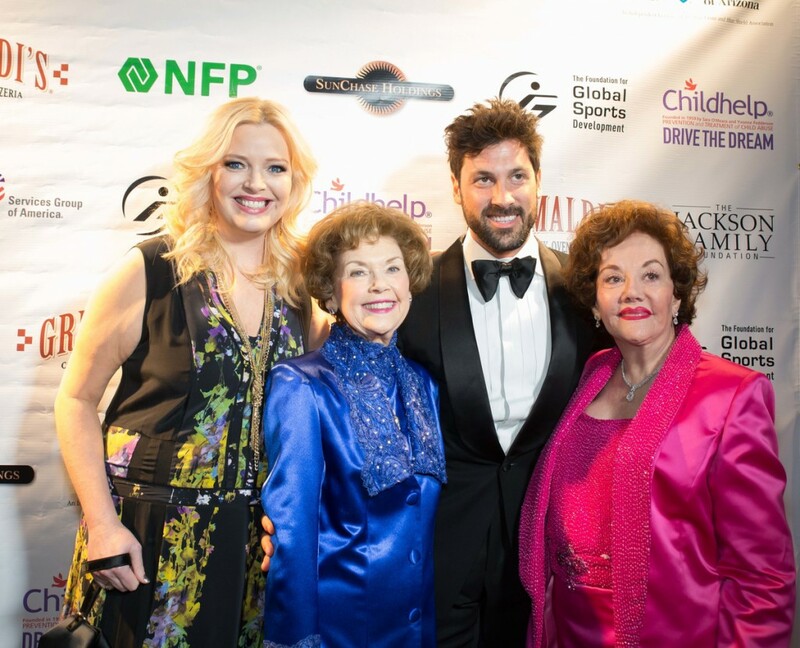 Notable celebrity guests in attendance included: actress and author Cheryl Ladd, Dancing with the Stars’ Maks Chmerkovsky, NASCAR Driver Paulie Harraka, Days of Our Lives’ Jen Lilley, Seinfeld’s John O’Hurley, and Tony award winning actress Carol Lawrence. 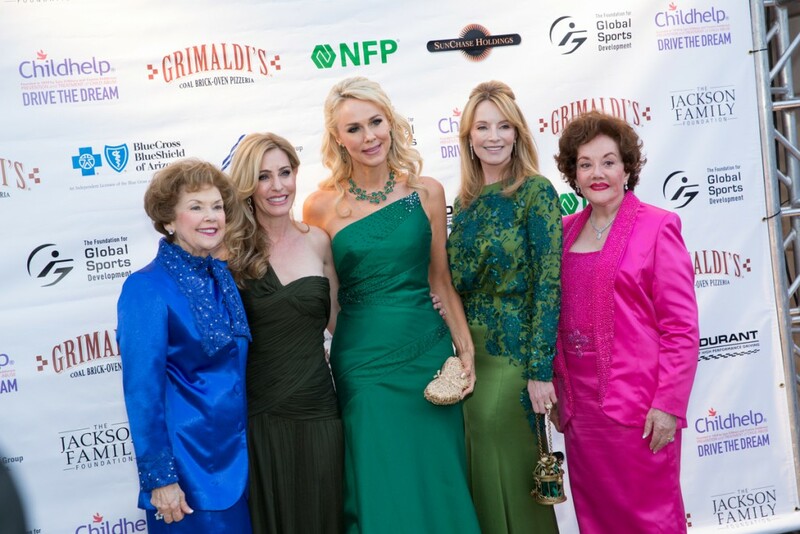 Sponsorship was provided by: Grimaldi’s Pizzeria, The Foundation for Global Sports Development. Services Group of America, APS, Barrett-Jackson, NFP, The Bob Bondurant School of High Performance Racing, SEMA, SunChase Holdings, The Jackson Family Foundation, and BlueCross BlueShield of Arizona.